Seniors for Seniors is a program focusing on senior cats in our shelter and seniors in our community. 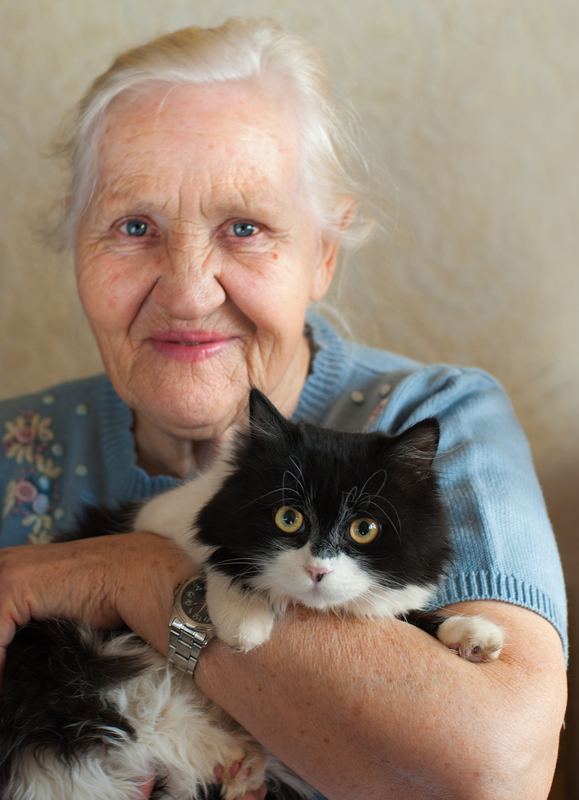 We match our loving senior cats with caring and loving senior homes to benefit both cat and person. • Senior cats are often overlooked at shelters due to their advanced age and/or health issues, but are often the most appreciative to be in a loving home. A senior cat has already gone through their rambunctious kitten phase, and though many are still playful, others want nothing more than a warm lap and constant companion. This program benefits both person and animal in helping alleviate the above ailments for the cats as well. Older cats tend to suffer from depression when in a shelter environment which can cause health issues to arise. • When a cat leaves the shelter to go to their new home, they have been sterilized, vaccinated, microchipped, dewormed and had an overall health exam by one of our Veterinarians. This is all at no cost to their adopter.